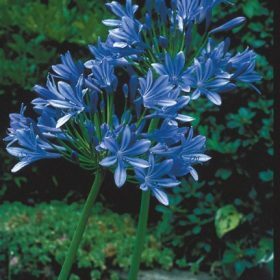 Agapanthus are ideal plants for the border or tub. 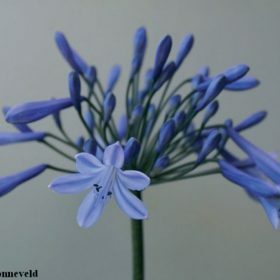 Tall flowers with large strap like leaves. Plant in a humus rich, well drained soil. They are very showy plants. Keep frost free when planted in pots outside. Add bonemeal in the summer, then cover with mulch in the winter.